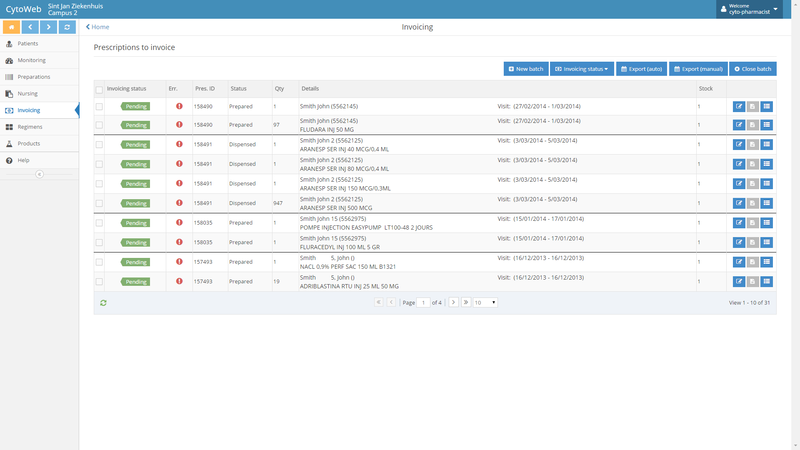 When configured correctly, ComeoCare can be linked to a pharmacy stock management package (see Integrations for more information). 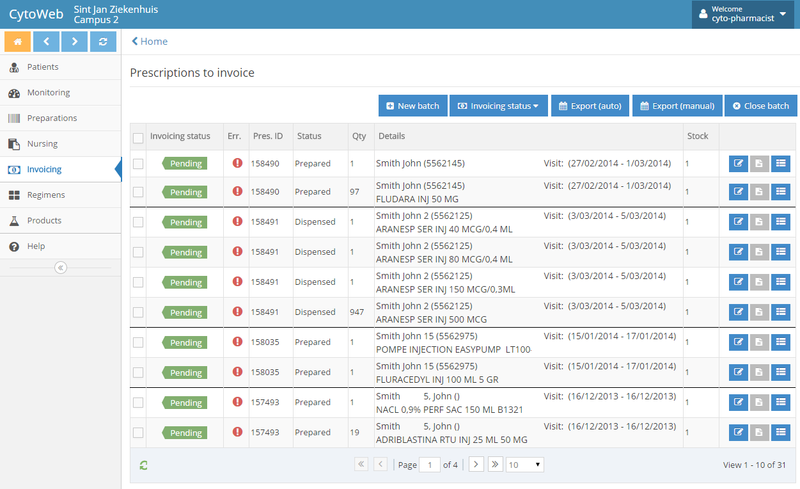 In all cases, the pharmacy has the possibility to check, control and adapt the data that is sent to the pharmacy management tool. ComeoCare displays a list of all products that are available for invoicing. Each line can then be changed if necessary: the quantity, the product…. The pharmacy can then divide these prescriptions into different invoicing batches. All lines in one batch are sent together. If these are all validated, the batch can either be exported automatically or manually. In this first case, nu further action is required and the status will be changed accordingly. In the second case, a file is generated that has to be transferred manually to the stock management tool. When everything is handled correctly, the invoicing batch can be closed.